Did you know thatAccording to latest Forbes Rich list,Sindhi billionaires cumulatively account for $ 36.7billion of the worlds wealth. Hinduja family $14.8 billion,Mickey Jagtani $4.2 billion, Ramesh Wadhwani $ 3 billion,Raj Kishin Rk $2.7billion, Rajan Raheja $2.5billion,Chandru Raheja $ 2.4 billion, Sunil Vaswani $2 billion,Jitendra Virwani $1.6 billion, Ashok kumar Hiranandani $1.3 billion,Surendra Hiranandani $1.1billion,Niranjan Hiranandani $1.1 billion. Ranveer Singh,Sonam Kapoor,Kareena Kapoor,Rajkumar Hirani,Aftab Shivdasani,GP Sippy. Sindhis contribute for 24% of total income tax collected in India where as they account only one percent of India’s population. All this inspite of the fact that they lost almost everything during partition and by sheer hardwork, integrity, business acumen, and Gods grace they build every thing from scratch. I dont think Sindhis can rest on their laurels. A lot of work has to be done to ensure that Sindhi survives as a distinct literary tradition, and not just a ethnicity. A primary indication of a pre-modern ethnicity’s success in the modern world is preeminence in a major metropolis. Marathi people have Mumbai. North Indians – Delhi. Bengalis – Kolkata. Tamil – Chennai. Telugu – Hyderabad. Sindhi folks dont have a single city where they shape the culture and mores. Without such a foothold, it will be difficult for a contemporary form of Sindhi literature and art to emerge. Sindhis should press on their demand for a Union Territory somewhere in India, and then try and do an Israel there. Even Calcutta economically is controlled by the Marwaris.. Yes, Sindhi is an official language in the whole province. But ethnically Karachi is dominant Muhajir. I believe Hyderabad is too, but I’d have to check on that. Mumbai has a Marathi plurality, they are the single largest group with about 40% of the population. They control how the tax revenue generated by Mumbai is redistributed, and the middle and lower middle classes of Mumbai (bank and government employees, college and school teachers) have a comfortable Marathi majority. So Gujaratis are the richest group, but they dont have ‘control’. Marathis, even of the nth generation, strictly speak Marathi amongst each other. It is amazing how quickly they figure out that the other person is also Marathi. You hear tons of Marathi in Mumbai. There is a large Marathi population with disposable income now, which is why movies like Sairat are getting made. As Kabir mentioned, Sindh’s premier cities remain Urdu speaking. But Sindhi language is in a very strong position in Pakistan; huge push back against Urdu in Sindh province..
“Hyderabad was a majority Sindhi Hindu city prior to 1948, when many migrated to India and elsewhere after the independence of Pakistan 1947. Hindus who departed had played a major role in the city’s economy, and formed the majority of the Hyderabad’s population. The vacuum left by the departure of much of the city’s Hindu population was quickly filled by the newly arrived Urdu speaking Muslim refugees from India, known as Muhajirs. So the last reliable numbers say that Urdu speakers are 58% of the city’s population. We just had a census in 2017 but I don’t know whether they asked about mother tongue. It’s a very fraught issue in Sindh so I don’t know how much to trust the numbers either way. I do find it interesting that not a single name on this list of Sindhis is Muslim. 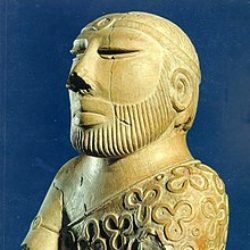 Does Sindhi automatically equal Hindu? As far as Sindh’s literary traditions go, I think Sindhis in Pakistan (which is where Sindh is)have got that covered. They’ve got an entire province, minus Karachi and Hyderabad. In India – Sindhi is Hindu. In fact Sindhi Hindus don’t seem to connect that there are millions and millions of Sindhi Muslim. Sindhi Hindus (the anis) descend from late medieval Punjabi Hindu (and some Sikh migrants) repopulating the province. The Harijans are the natives of the province. The Sindhis descend from Baloch tribes (Zardaris etc – upto 30%). The Soomros & the Sammas (the native Sindhi Muslims) are said to be Rajput tribes. 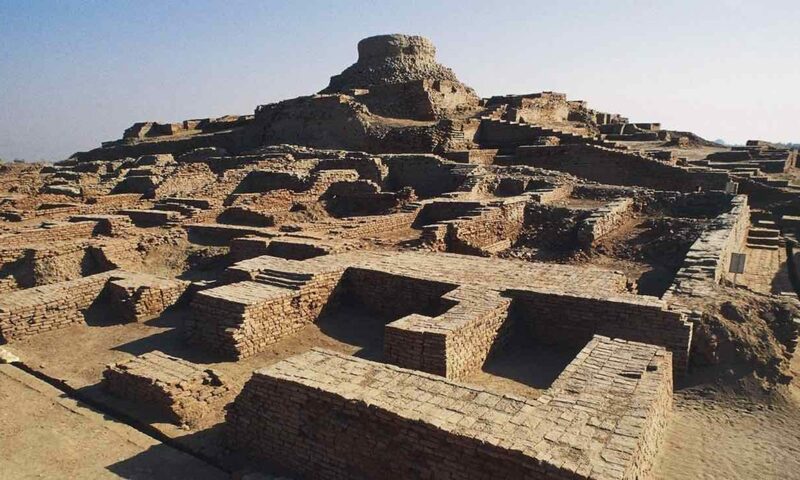 Extraordinarily diverse population and like a lot of the Indus Valley; tribally organised..
Are all these Sindhi billionaires descendants of Vaishyas or Kshatriyas? What is the breakdown? Asking for a friend. They’re Bhaibands but Sindhi Hindus don’t have traditional castes. Their Brahmins are Amils but those are a small minority (Advani etc) while the Bhaibands are a Khatri caste.. what would Punjabi Khatris be? For instance my Sindhi mother-in-law’s maiden name is Khurana. Zach, That is why I put my question rather round about way; from which caste they descended from? You ask any body from the subcontinent, they are quick to respond, I don’t believe in caste. They get offended and accuse you of casteism. This applies to all major religions and sects. Suppose a dalit community in a village converted to Christianity en mass, you think the caste is going to leave them in foreseeable future? Buddhism, Muslim invasion, Sikhism, being landless in diaspora, western influence most likely loosened the grip of caste system in a population like Sindhis. My bottom line is, in a given population which groups intermarry freely. All things being equal, do all present day Sindhis intermarry without the man or the woman convincing the parents about the caste of the future spouse. Yes Sindhis have been doing that for at least 2-3 generations. My wife’s Buas mentioned that in their day there was a preference for marrying within the caste but caste is almost non-existent among the Sindhis (I just went to a wedding last year in Kerala – girl was Amil). Sindhi routinely marry outside their community as well. Because the Sindhi community is so small and dwindling it’s very cohesive..
Was an absolute disaster for the Sindhi Dalits to not have moved to India. They could have availed of reservations and linked up with other oppressed groups across India. Ambedkar would have been available to them. Vikram, affirmative action is helpful. But Ambedkar has harmed Indian Dalit Harijans. So have subaltern studies. Many of the mainline Hindu organizations now offer twice born sacred threads to Dalit Harijans provided they agree to a spiritually disciplined life style. The best way to help Dalit Harijans is to surge capacity, competence, merit. The rest gradually takes care of itself. Is this a deliberate position, or just a structural consequence of the partition migrations ? It’s different to the Punjabis who know and feel there are millions of their kin across the border. There is an article on Punjabiyat versus Bengal/Sindh.. I think this has more to do with the very low number of diasporic Sindhi Muslims than any feeling. There are a lot of Sindhi Muslims in the Middle East (Oman etc). They blend in with the Baloch; the Sindhi-Baloch have strong ties (Baloch tribes into Sindh; Pathans into Punjab). I think a national consciousness requires more than just feelings, it needs a common narrative arc, one which is important enough to ‘make the heart skip’ and rich enough to provide continuous reference points for literature and national conversation. Punjabiyat is not necessarily national consciousness (where did I mention that).. I feel, with respect, you always over-academicise matters. I suspect you are not Punjabi or Sindhi by ethnicity? National consciousness requires what Anderson calls an “imagined community”. Pakistan is an imagined community. I would argue so is India (perhaps to a lesser extent). India was already there in some form, but Pakistan was an entirely new entity. I’m fairly sure it was Rushdie (who I think is a great writer, though his views on Islam are reprehensible) who stated that Pakistan’s problem is that it wasn’t sufficiently imagined. I am planning to re-read “Imagined Communities” and perhaps I will have some thoughts on it in the Indo-Pak context. His grandfather’s pluralist, peaceful Kashmir has withered over the past 40 years under the burning heat of rival fundamentalisms. In Shalimar the Clown, Rushdie uses the story of the shredding of Kashmir’s secularism – of the metaphorical death of his grandfather – as a microcosm of a larger story, the collapse of the secular ideal across the world that has nearly consumed Rushdie himself. After the partition of India, Kashmir found itself trapped between the two new nations, rubbing like a bed-sore. The valley had a Muslim majority, so many people thought it logically should have gone to the new Muslim state of Pakistan. But Kashmir’s Hindu ruler decided to stay with India, because he thought her secular traditions were best able to prevent the valley breaking down into the ethnic cleansing that was causing the new border to haemorrhage so much blood. And so the sharp wedge of communal grievance entered Kashmir. Rushdie has renounced Islam and is openly an atheist. “Rushdie came from a liberal Muslim family although he now identifies as an atheist. In a 2006 interview with PBS, Rushdie called himself a “hardline atheist”. I think his anger with the Iranian Regime (which is justified, I would be angry if a government wanted me dead) is misplaced upon the whole religion of Islam. Since 9/11, he has said many things which are frankly Islamophobic. This doesn’t make him any less of a writer (“Shame” and “Midnight’s Children” continue to be among my go-to books) but he is a fairly obnoxious human being. I have no time for Islamophobic people. P.S. “The Satanic Verses” is a novel and should be judged as Literature. I’ve actually read the book. But there is a section in which prostitutes were given the names of the Prophet’s wives (peace be upon them). Even as a “liberal” Muslim, for me this crossed so many lines I can’t even tell you. When it comes to the Prophet and His family, one must remain deeply respectful at all times. The book obviously remains banned in Pakistan, but I read it in the US. Don’t many muslims name their children “Mohammed” [obviously they don’t add the peace be upon him], “Aisha”, “Fatima”, “Zainab”. I have not met a Khadija though. No doubt some of these children grow up to have weird professions and are not perfect people. So having a child with such a name who grows up to be a prostitute isn’t necessarily an insult to Islam. This said, I understand your sentiment. Many Hindu prostitutes have God’s name as their birth name or call name. Hindus also feel uncomfortable but feel powerless to express themselves. Jesus is great and revered for most of the world’s people (including Muslims and Hindus). Yet we all had to accept what happened to the divine mother . . . “Madonna”. I think Muhammed pbuh didn’t have a problem with apparently Islamaphobic thoughts, feelings and words. Neither should we. The insults of others cannot harm or mentally affect us. This has been a theme in Hindustani Bharatiya Sanathana Dharma for thousands upon thousands of years. Being unaffected by the censor and insults of society is the beginning of spiritual progress. Interestingly according to Wiki, there are almost as many Sindhi Hindus in Pakistan as there are in India. The figure for India is 3.8 million while the figure for Pakistan is 2.5 million. “Sindh also has Pakistan’s highest percentage of Hindu residents, with 17% of Sindh’s population overall, and 11.6% of Sindh’s rural population, classifying itself as Hindu, and over 40% of residents in Tharparkar District identifying themselves as Hindu. The communal harmony between Sindhi Muslims and Hindus is an example of Sindh’s pluralistic and tolerant Sufi culture.”. This explains why Muslims in Sindh are not that freaked out by Hindus as opposed to post-1947 Punjabis who have probably never met a Hindu. Punjab was probably the most ethnically cleansed province (on both sides) at Partition.